Like earlier entries in the franchise, Civilization VI had an expansion released for it this year, but another expansion titled “Gathering Storm” is coming in early 2019 as was announced last month. This expansion will not only tweak Civilization VI’s gameplay, but will also bring some new additions to the table such as natural disasters. The Gathering Storm expansion will also add new civilizations (civs for short) to developer Firaxis’ game as well. The first civ to be announced as part of this upcoming expansion was Canada (which had never featured in a major Civilization game before), while the recently announced Inca civ is one veterans will surely be familiar with. This is because this civ has been available to play in the Civilization series since Civilization III hit shelves back in 2001. 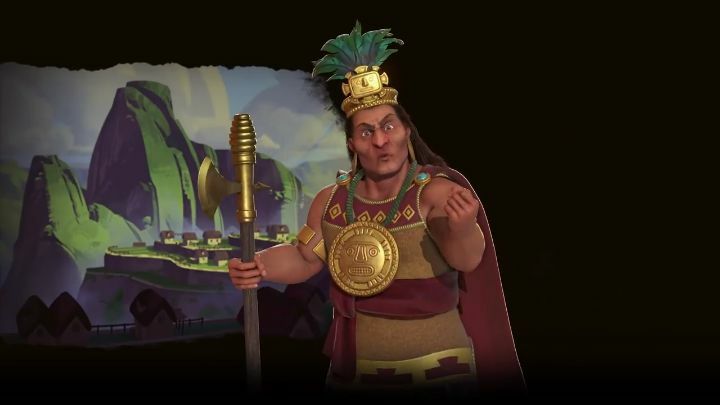 However, the Incas do play differently here than in earlier games, and Firaxis has released a preview video explaining what this civ is all about in their latest Civilization game. One of the advantages of the Inca civ is that they can build terrace farms. When you build these on a hill tile in the game, you get additional food production from adjacent mountain tiles. Also, the Incas unique ability in the game is that they can take advantage of mountains, working on these for food (if a terrace farm is adjacent to the mountain tile) and production for the Inca empire. This means this civ can truly thrive if surrounded by mountainous and hilly terrain in the game. Also, the fact that internal trade routes yield more food when the origin city is next to mountains means this is a self-sustaining civ that can do well without much contact with other civs in the game. Which might be a great thing if you like to turtle up and play isolationist in a game of Civilization VI. Nonetheless, if you do come to blows with other civs in the game you can rely on the Incas’ unique unit, the Warak’aq. This can attack twice in one turn if it hasn’t used all its movements points yet, something which can even the odds in your favour in combat. And it sure looks like the addition of the Inca civ could help enliven what already is a feature-packed game, letting players try out new strategies and opening up new possibilities in the game. It remains to be seen whether the Gathering Storm expansion for Civilization VI turns out to be great or not, something we’ll know for sure when this upcoming expansion is released next year. But given Firaxis’ track record, we are hoping for the best here though.